Developed by a bio-chemist from the UCLA medical center, this body wrap process was originally formulated to encourage circulatory and lymphatic flow in patients. It was meant for those suffering from diabetes that inhibited circulation, especially in the lower extremities. Research showed that because of this increased flow of both the lymphatic and the circulatory systems, the patient also was experiencing cleansing of the tissues. This, in turn, caused healthy inch loss through internal cleansing. This body wrap has been in the Holistic spa line, helping people lose inches, for over 25 years. the liver and the kidneys, promoting inch loss. skin. It is the healthiest body wrap that does not dehydrate and age the skin. glasses of water per day are always recommended. DO start taking CELL-U-RID at least one week prior to starting wrap series. receiving first body wrap; continue this habit forever! DO ensure that you practice a healthy lifestyle (including your diet) to maintain the inches lost. drink anything within 1 hour of receiving body wrap-so you don’t need to “go” while wrapped). DO use MAINTAIN each day after a bath or shower. DO ensure that you perform enzymatic exfoliation at home at least 3 times a week. DO ensure that your technician performs an enzymatic activator prior to receiving body wrap. 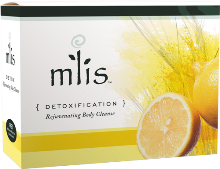 DO consider doing an internal detoxification program to enhance cellulite and inch loss. DON’T allow yourself to be wrapped if you: have a heart condition, epilepsy, have had cancer that is not in remission, or are pregnant or nursing. DON’T use a lotion or cream the day of your body wrap. DON’T shave the day of your body wrap. DON’T consume carbonated drinks, coffee, refined sugar, white flour, red meat. DON’T shower within 6-8 hours of receiving body wrap. and is unable to rid itself of excess niacin buildup. A temporary rash may occur. If a niacin reaction occurs an internal cleanse is indicated. For best results purchase the contouring home care kit at least 1 week prior to your first wrap and begin taking Cell-U-Rid capsules. Cell-u-rid capsules are a gentle, safe, herbal detoxifying formula that will start the detoxing process. This gives the toxins that are removed from tissues during your wrap a better way of exiting the body. After your first wrap you will use the Buff and Maintain cream daily between wraps to keep the cleansing process going.